Good day to all. It has been a long break for me from here ever since the last entry. The last 2 years was a hectic time at work, restructuring and refocusing on the direction, vision and mission. 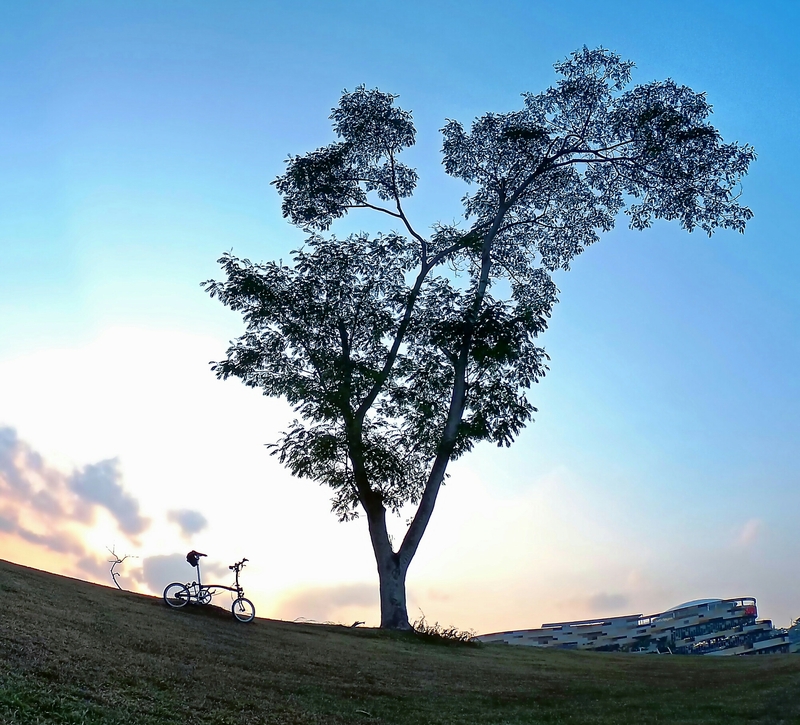 Nonetheless, there was still time set aside for some exploration on the wonderful Brompton. Here are the updates from 2016 itself. Mid-2014 to end-2015 will have to be included in the next entry. 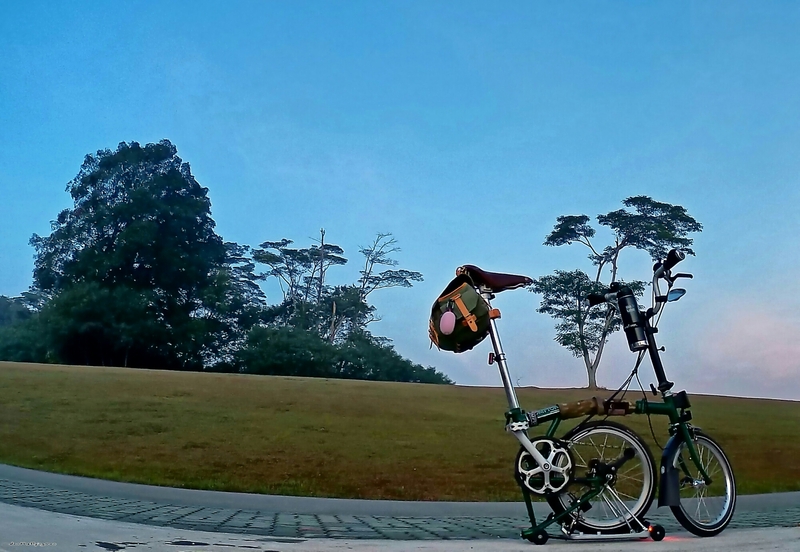 Acquired the 4th Brompton in one of my favourite colours, Racing Green. 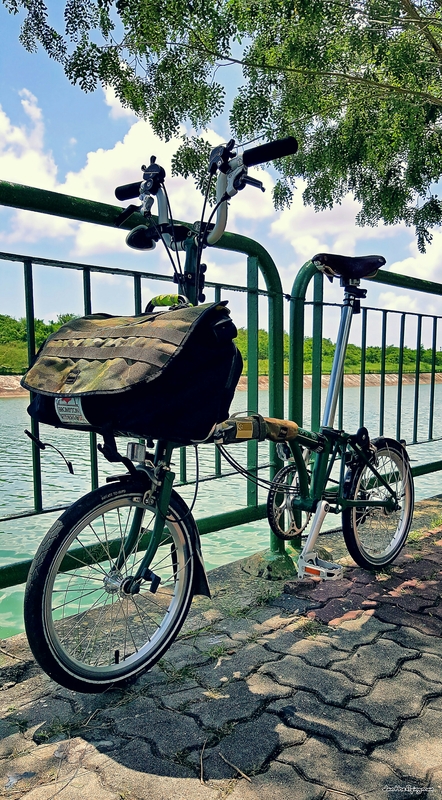 Final look of the 4th Brompton after swapping out the H stem for a M stem and adding a rear rack. The last year also saw my missus and I shifting to a new location. One of the many gorgeous sights the new area I shifted to has to offer. 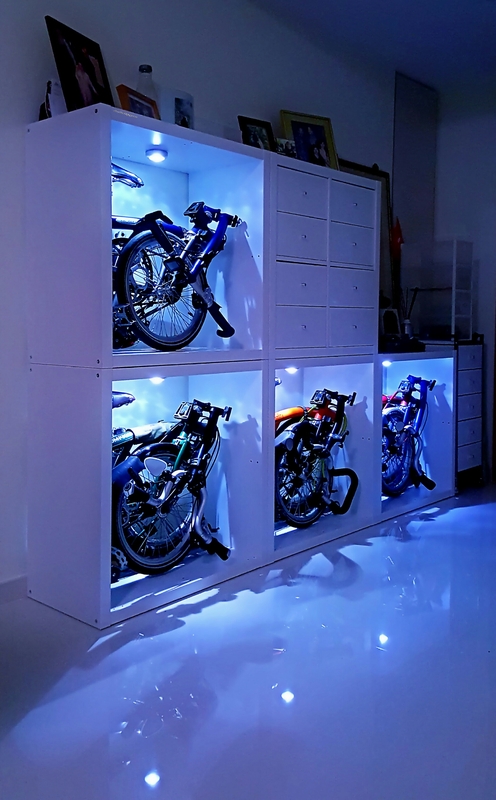 Took me some time remodelled the storage and display area for the Bromptons. This is after selling a Montague and an Alex Moulton.